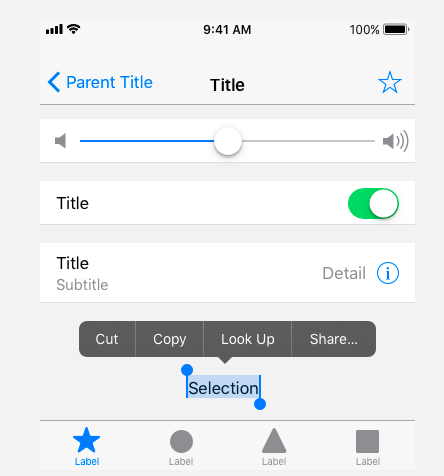 Apple UI Design Resources include templates, along with comprehensive UI resources that depict the full range of controls, views, and glyphs available to developers using the iOS SDK. These resources help you design apps that match the iOS design language. Icon and glyph production files are preconfigured to automate asset production using Sketch slices or Adobe Generator for Photoshop CC.